The display clearly indicates the number of banknotes inserted. The rapidcount S 85 is a value counter, which stands out for its high level of security and its precise counting results. The device detects and evaluates the banknotes inserted. 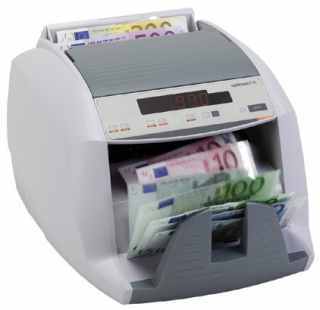 The security features of Euro banknotes are securely tested during machine operation. The extensive test as well as the magnet code detection of the rapidcount S 85 offer maximal protection against counterfeit money.